At the new Chiang Mai International Youth Hostel (opening 15 Nov, 2005), we understand the demands of the new generation travelers who seek for clean, comfortable and safe environment without compromising on expensive room rates. With a country warm design in a garden atmosphere, you will find that our room rates are not only of great value but most important of all, you continue to enjoy our warm northern Thai hospitality the moment you step in that can make your stay a most rewarding one. 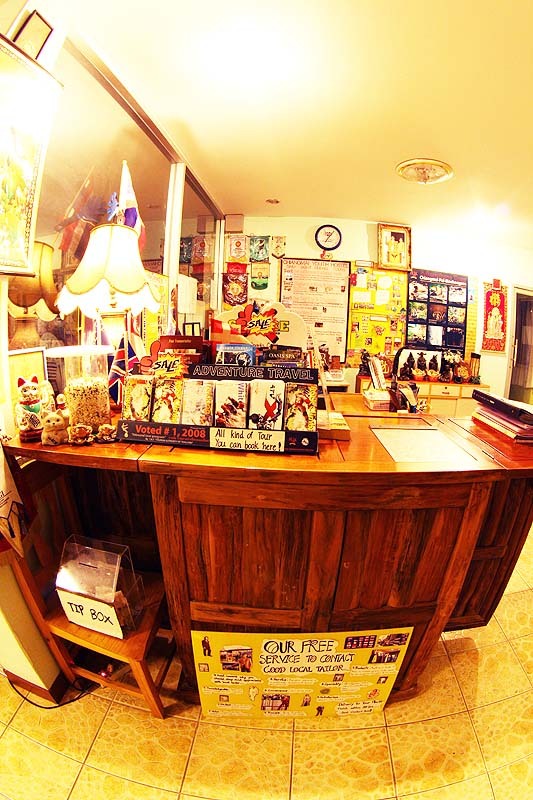 At Chiang Mai International Youth Hostel, we pride ourselves to be highly service oriented. How? Because we keep a small and manageable number of rooms (just 9), we are able to pay attention to the little details in making your stay as comfortable as possible. 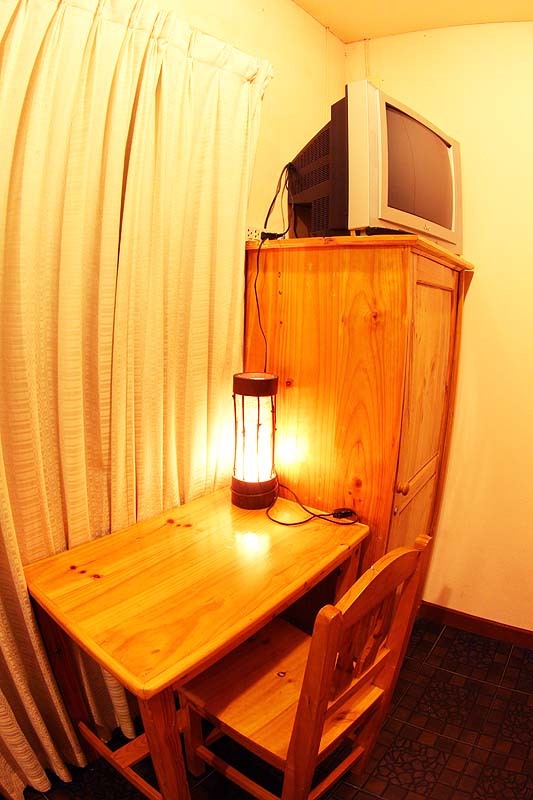 All our rooms come with modern en-suite facilities and are fully air–conditioned. 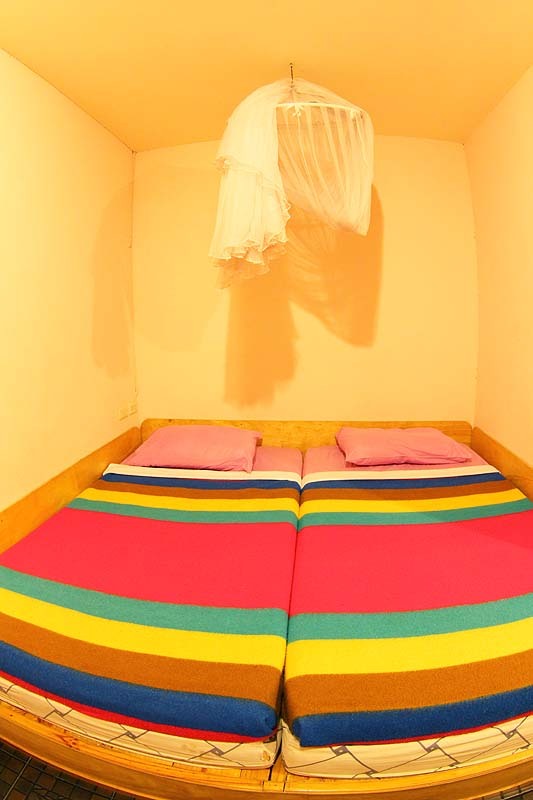 Our beds are purpose-built with an Asian design with private hot/cold showers and western style toilet, satellite & cable TV (local Thai channels, English movies, CNN, BBC, MTV, NHK, French, German, Italian, Chinese and National Geographic) and Internet connection. Children below 6 years old may stay free when sharing with adults using existing beddings. Maximum room capacity is 2 adults + 2 children below 6 years (or 1 child below 12 yrs). Extended check out time is 1200hrs (check in time is 2pm). Courtesy pick up transfer is available. We also run a full-fledged travel desk with attractively priced tour and trek packages. At Chiang Mai International Youth Hostel, we are your one stop travel center. "FREE Hi-Speed Internet in the lobby and restaurant is available for all guests"
"Free of Chagre for drinking water and hot Chinese Tea at the Cafeteria & Lobby"
The Chiang Mai International Youth Hostel is a founding partner of the Thai Youth Community Foundation (TYCF) to help the less privileged children in Thailand. Guests are welcomed to participate in sustainable projects as volunteers under the TYCF for better understanding of humanitarian efforts in our country. For more information please contact our reception.